Wang also said the international community must allow China the “right to take part in the global technological governance system as equals”. The Trump administration has made China’s industrial modernization strategy, “Made in China 2025”, a major target in his assault on the country’s trade practices, including the imposition of punitive tariffs on items covered by the project. 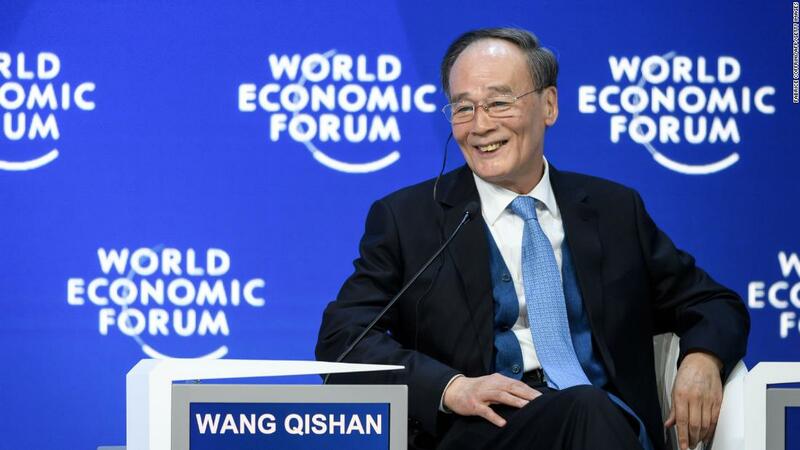 “It is imperative to respect national sovereignty and refrain from pursuing technological hegemony, interfering in other countries’ domestic affairs, and conducting, shielding or protecting technology-enabled activities that undermine other countries’ national security,” Wang said. “With a 6.6% growth, we can definitely reach our target of delivering ‘modest prosperity’ for all Chinese people by 2020, there is no question about it. We can definitely make it,” the Vice President said, as reported by the South China Morning Post. Wang was among about 3,000 people attending the Forum, including German Chancellor Angela Merkel, Japanese Prime Minister Shinzo Abe, and Brazil’s newly elected President Jair Bolsonaro. But among the notable absentees were U.S. President Donald Trump, French President Emmanuel Macron and British Prime Minister Theresa May.